Root Ulefone Gemini via Twrp Recovery now available. 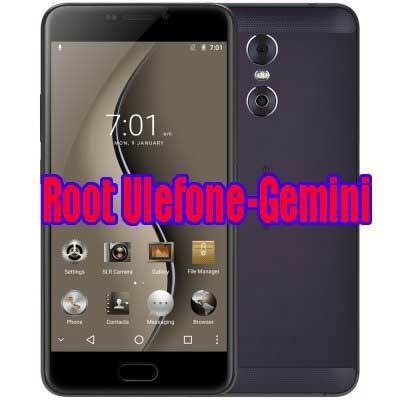 All Ulefone Gemini users can now root their device within a minute following the guide in this post. Vola you have successfully flash recovery on your Ulefone Gemini next thing to do is to root your device, please use the SuperSu provided in this post other versions of SuperSu may not work for you. I came up to the twrp installation phase. It downloaded succesfully, Than when I try to open the phone with power and vol up, a test screen comes for the phone, in second try I try with power and volume down button, than I have a tiny 3 options which is very hard to read. 1,recover 2. fastboot 3 normal. So when I choose the recovery boot , a dead android icon so following that when I press again power and volume up a recovery screen comes which is not twrp. I think its the default recovery that comes from ulefone. Also there is no “install option there. Can you please advise which folder to download please. And this process will be done by computer while phone is connected ? (after installing the fastboot driver)? Can u kindly please advise step by step..
ok after a search İ try the adb reboot recovery command .Again the default recovery from factory comes to the screen even I installed the twrp as u instructed at above . Could it be related with the bootloader isnt unloacked? I read some documents to install twrp bootloader must be unloacked? Ok admin,I ddid everything and installed twrp. But the now problem is phone doesnt starts, The “ulefone” logo comes up and stays like that.